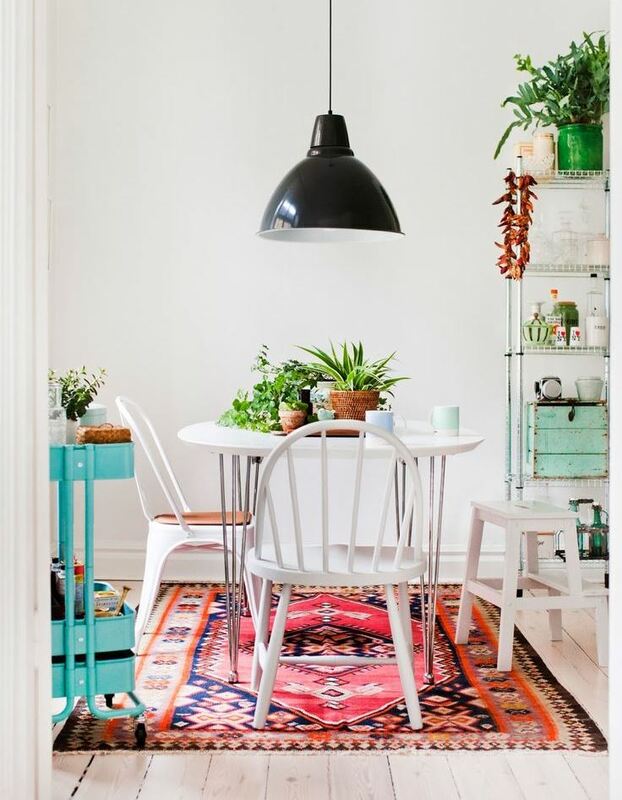 6 Ideas to Brighten Up Your Home for the Summer – Sunday Click! It’s August! And even though I’ve already had a very relaxing vacation, all I can think of is: sand, ocean, sleep, repeat! Since I can’t leave the city, I figured why not bring that holiday vibe into my home? Here are 6 easy tricks that will make you love coming back from work and will ease your wanderlust! 1. Leave your bike in sight! 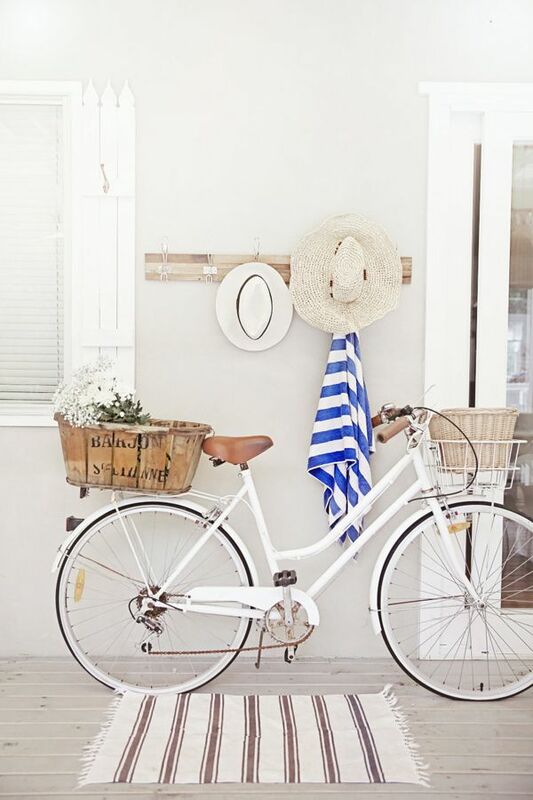 Of course this mostly applies to a white, vintage bike and it requires some space, but in additon to looking good, it will probably make you take it for a ride more often, too. So, bonus points for health and working on that summer body! 2. 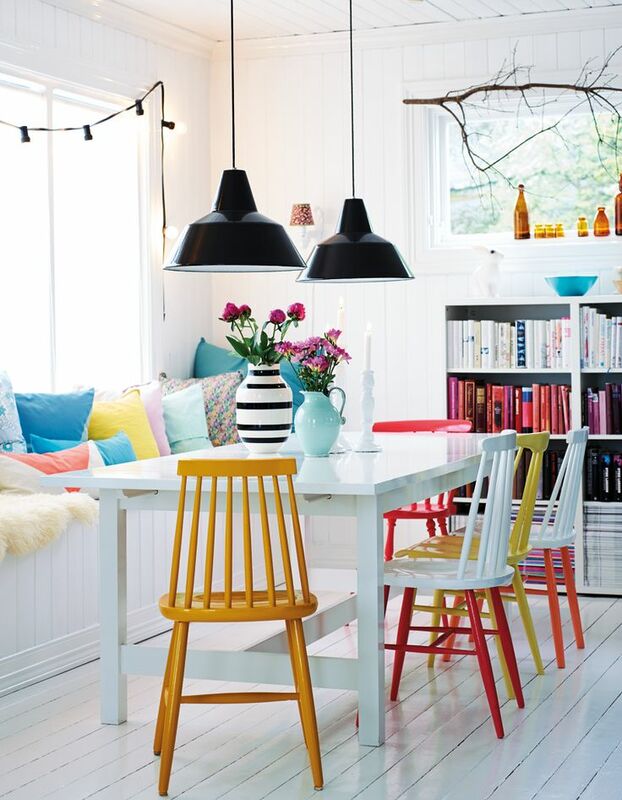 Mix and match those chairs! Well, I think you’ve noticed how it’s no longer required to buy 4 identical chairs for your dining table. Different colors or even totally different styles are very much encouraged. If you don’t want to go all the way, I think it’s safe to create a mix of white and color or just add a splash of paint over those chair legs for an instant summer touch! It’s the color of the ocean and paired with white elements, it makes your home resemble an Italian summer vila and who would pass on that? 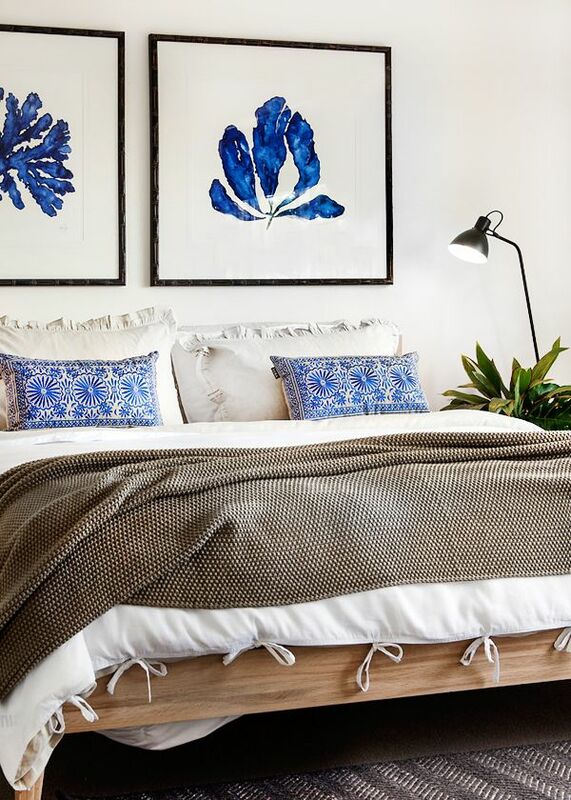 Two blue pillows, two blue lamps and maybe a blue painting and your bedroom will become your favorite spot in the house! This one is ridiculously simple: just stock up on pretty plants to add to your office space. 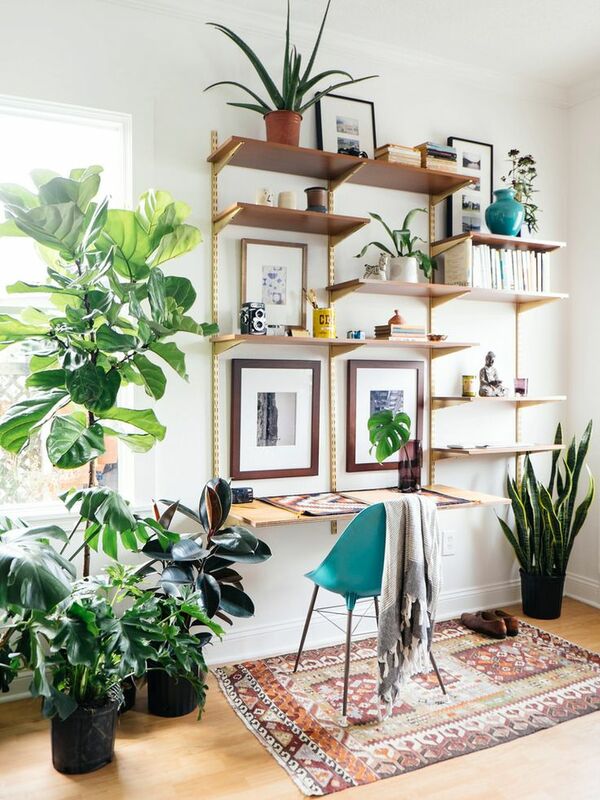 I’m thinking two identical cactuses ones on the desk and a huge ficus just next to it should instantly cheer you up! This looks amazing with neutral colors and it shouldn’t be too hard to come across one in your grandma’s basement. If you feel like it’s too much for your home, why not use it for a balcony makeover, with two pretty chairs, a table and some lights? 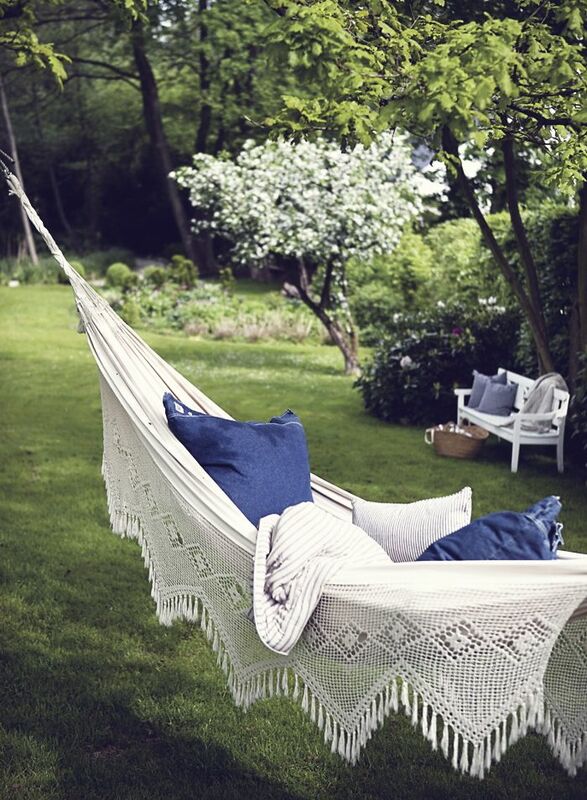 The ultimate summer must – a pretty hammock! It must feel great to spend your afternoon reading in the hammock in your garden, but for the less lucky of us (read living in tiny apartments), why not hang one on your balcony? Alongside some red flowers, it would make a great place to relax for the rest of the summer!